Fr. Nicholas H. This topic is less complicated, despite the fact that there is some tension between scientists and Christians regarding the beginning of the world. To start with, the Holy Bible, the book of Genesis, contains in only one chapter simple truths; its purpose is to proclaim that the world was created by God, and not to describe how it was created. It is not a book of Physics, as many Western Christians present it to be by absolutizing certain things. However, there are indications on the way the world was created, which today science confirms. For example, the fact that light was created first and then matter. Physics accepts this which is also in accordance with the modern cosmological theories; they all agree that space began as an electromagnetic radiation, light, that passed on to the stage of matter through the well-known phenomenon of pair production. There is no objection regarding the “how” of the creation; perhaps there is some regarding the “who” of the beginning of the world. However, the “who” is not for science to tell. While faith talks about the Creator of the world, and gives a few indications only about the way and the procedure of creation, the most science can do is insinuate the Creator, while it basically struggles for the study of the world. Faith is primarily concerned with God as a Person, and thus encounters Him everywhere as energies; while science, which studies natural energy, has great difficulty in leading us to the Divine Personhood of the creation, that is God. However, if we combine the two, science and faith, we will inevitably see through the natural beauty of science, the spiritual magnificence of God's presence everywhere and in everything. N.K. So, in other words, there is no basic conflict between the Orthodox theological view on the creation of the world and the scientific explanation of contemporary cosmology. Fr. 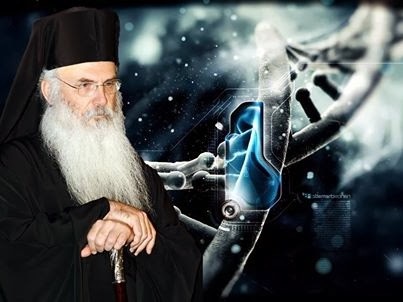 Nicholas H. Within the spirit of Orthodox cosmology, there is no conflict regarding the creation of the world. Things are quite simple. Steven Hawking expressed certain views on the eternity of time in his book A Brief History of Time, which he himself revoked in his next book Black Holes and Baby Universes. Science is constantly refuting itself. This is not a negative characteristic, since it makes knowledge progress. However, when one regards theories as laws and man's limitations as perfectness, he will never be able to conceive eternity through time, or comprehend time through eternity. Science will always choke faith; human achievement will constantly push God aside.